So, Hull – City of Culture 2017 - Cinderella shall go to the ball. Hull, forever propping up the league tables of social and economic failures (the latest for ‘inner city urban vibrancy’ - see Ian Martin’s coruscating take on this here). Hull, an archetypal ‘crap town’ to be sneered at by the Policy Exchange, Kelvin McKenzie and Phil and Kirsty. Even the winning City of Culture bid talks of Hull ‘coming out of the shadows’ and yes there are big problems like not enough jobs, high levels of poverty and low skills. But these are less the fault of Hull than of the malevolence and insane inefficiencies of the neo-liberal market God. Hull is a super place, one of the most distinctive and unusual towns in England, whose assets are being absurdly wasted. To see Hull you have to really want to because it is the end of the line, that is unless you are going to Rotterdam or Zeebrugge. The A63, which scythes through the Old Town to the port, is also the E20 trans European highway from Shannon to St Petersburg. Which is both bonkers and appropriate, as Hull’s history is all about its European trading position and from the middle ages it was one of England’s biggest ports. History is writ large in the splendid architecture, at once Liverpool and Boston (Holland). Its fin de siècle confidence and civic pomp is breathtaking. 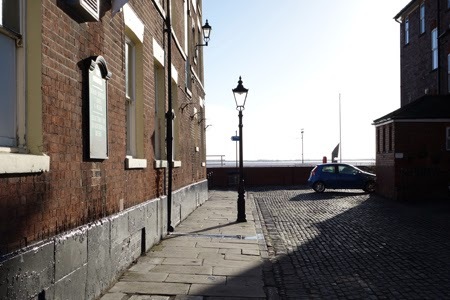 Hull’s proud history is a defining aspect of the character of the place, along with the impact of the horrific bombing in 1941. It suffered more damage than any city other than London and the scale of destruction was staggering, meticulously mapped in Abercrombie and Lutyens' zombie reconstruction plan. But much of the Old Town survived. Rebuilt Hull is not the brave new world of Coventry nor the stodgy classicism of Plymouth, more a grittier version of Welwyn Garden City following a civic style set in the 1930s. The Humber gives Hull its very special identity. The water is immensely wide, three kilometres as the crow flies from Corporation Pier to the smudge of the Lincolnshire shore, and it has an ethereal quality with magnificent long vistas and huge skies. Hull’s quaysides used to extend along the estuary for ten kilometres and the port remains huge, if containerised today. You see massive ro-ro ferries in the distance from the city centre Waterfront. The Humber is at one with the soft East Riding landscape stretching to the horizon. In English Journey J.B Priestley said ‘Hull is not really in Yorkshire, but by itself, somewhere in the remote east where England is nearly turning into Holland or Denmark’. Larkin talked of a sense of ‘limitlessness beyond Hull, and then eternity’. 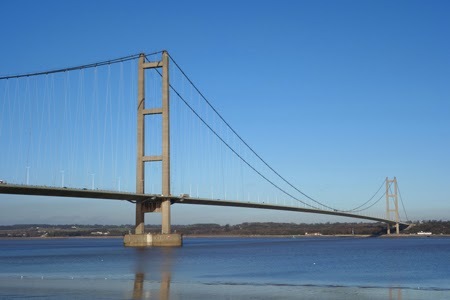 You certainly get that feeling if you approach Hull across the magnificent Humber Bridge, designed by Freeman Fox and built 1972-1981. At 1,400m it was the longest single span suspension bridge in the world, although now relegated to seventh but still the longest you can cross by foot and cycle. The views are spectacular. However the optimistic regional planning ambitions behind the bridge project proved sadly misplaced. Hull suffered badly from the devastation of manufacturing in the 1980s. Its largest industry, fishing, had been ruined by post imperial Britain’s defeat in the ‘Cod Wars’ with Iceland. Priestley was immensely impressed by Hull’s fishing industry. In the wholesale market he noted ‘cod of every possible size …. only a few halibut, but these were of gigantic size, lying there like murdered Roman emperors’. By 1980 the fleet was bankrupt and the trawler-man anti-hero of Alan Plater’s Play for Today Land of Green Ginger, who refused to take a shore job to marry his childhood sweetheart, would have been unemployed. She went to London. 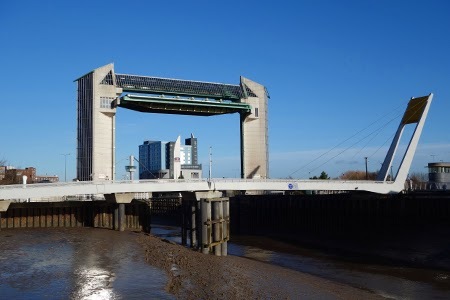 In the post industrial world Hull has had to struggle hard to promote a new service and technology based economy, with some success particularly with green energy. In 2001 Humberside University decamped to Lincoln, although Hull University has expanded onto its former campus. Hull does not, however, give an initial impression of being run down and is certainly not the basket case conjured by Centre for Cities league table crunching. In the 1930s Priestley thought it had ‘an air of prosperity…. something of the outward character of the Scandinavian countries with which it trades has crept into Hull. It has a cleanish red brick look’. Despite the well rehearsed economic problems this still applies today. 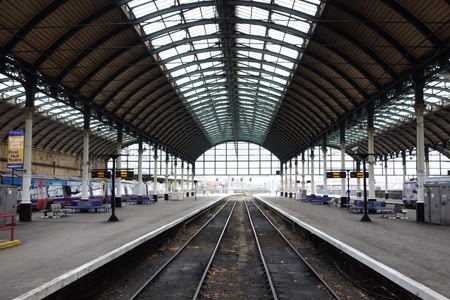 A train journey to Hull does give some substance to the jibe about ‘the city at the end of a forty mile siding’, although the Hull Trains expresses from King’s Cross in just over two and a half hours are one of the very few successes of the privatised railways. 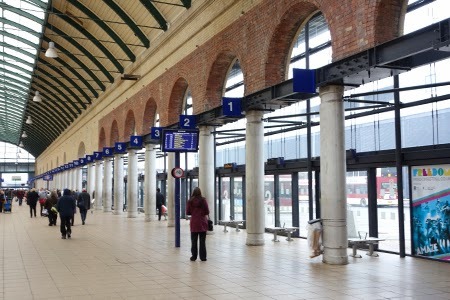 (Hull like other major northern cities such as Bradford, Middlesbrough and Sunderland had effectively been abandoned by Intercity trains.) You get a great view of the Humber and its iconic bridge before arriving at the exotically named Paragon station, a real big city station even if it does not have many trains. 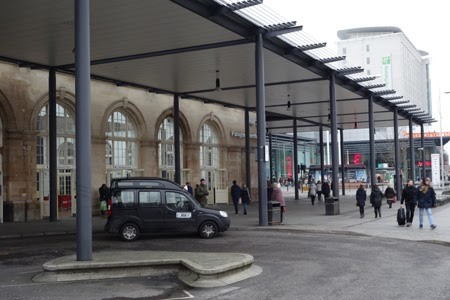 Originally of the 1840s, it was expanded in 1903 and restored by Wilkinson Eyre in 2007, the grand concourse now also providing a bus interchange, surely the finest in the country. The train shed roof of five bays is stunning and excellent period detail is retained in the renovation including an art nouveau kiosk, but the new solid canopy introduced in front of the station looks cheap. You are now welcomed to Hull by a statue of Philip Larkin, the city’s most famous poet (although Andrew Marvell was born and educated here). Larkin, a curmudgeon, misogynist and casual racist is now beatified as a sort of cuddly northern Betjeman, which is fairly absurd but his poems, a ‘piquant mixture of lyricism and discontent’ are wonderful and evoke a strong sense of place. Friday Night in the Royal Station Hotel is set in the grand Italianate job next door with a nice Deco entrance from the station concourse. Leaving Paragon your first impression of Hull is unlikely to be favourable. It faces the dismal dual carriageway that is Ferensway, conceived in 1931 as a grand civic boulevard along the lines of The Headrow in Leeds, but it is even deader than that dodo. Now an inner circuit road it is a formidable barrier to pedestrians and lined with a motley array of buildings, both pre-war and post blitz examples of neo-Georgian mutton (to mix metaphors), vivacious Edwardian buildings surviving in places, ultra aggressive mirror glass offices ‘To Let’ and retail park tat. The former Cecil cinema of 1955, which then had the largest auditorium in the country, is at least gutsy. The Shopping Centre merry go-round. Now this is the local top dog. 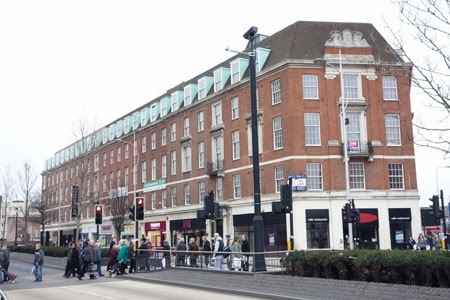 North of Paragon is the 2007 St Stephen’s shopping centre, based on a ‘design concept’ by Lord Foster as interpreted by Holder Mathias. Ellis Woodman commented in BD ‘the results are perfectly awful…the building is conceived as a continuous interior, entirely disengaged from the rest of the city. 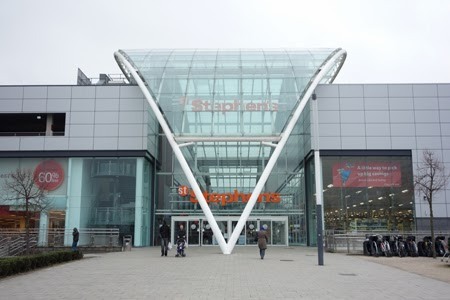 In case shoppers entirely forget where they are, the architect has thoughtfully introduced a glass roof resembling a fish (as) a symbol of Hull’. The banality of the design is matched by crass planning. 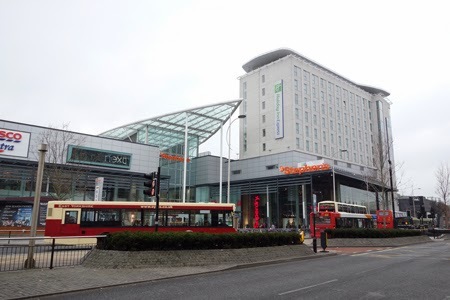 The shopping centre’s peripheral location is no doubt justified by the adjacent ‘public transport interchange’ but as with Doncaster’s Frenchgate the result is to hollow out the city centre core. The other ‘planning gain’ is equally illusory, some spectacularly useless gardens at the rear overlooking the Tesco Extra car park and a small, bleak and unused ‘square’ on Ferensway overshadowed by an eleven storey Holiday Inn. Here you find the Albermarle Centre for young musicians, an admirable use but expressed as an already grubby three storey lavender cone? Thanks again Holder Mathias. St Stephen’s expresses all too clearly the distorted priorities of market-led regeneration. 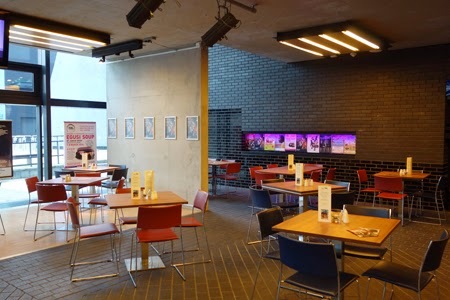 Adjacent to the ‘square’ is the new Hull Truck Theatre designed by Wright and Wright, a tough building reflecting the background and ethos of the company. It makes a simple, honest and straightforward statement, rising above the limitations of its context to provide a strong relationship with the street. There are really nice, robust details like the simple composition of purple and glazed bricks with the emergency exit to the street and the lovely stairs with galvanized metal screens to either side, double height window beyond and exposed concrete above – nothing fancy but every detail right. This is a class building. 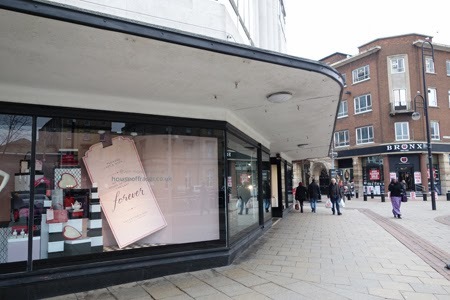 Opposite the station, nicely angled to the corner of Jameson Street, is the striking 1950 House of Fraser store, glass and white wall with eclectic influences of classical, 1930s and festival styles - the best bit of post-blitz reconstruction. Jameson Street is an interesting mix of surviving showy Edwardiana and some of the more assured post blitz neo-Georgian. 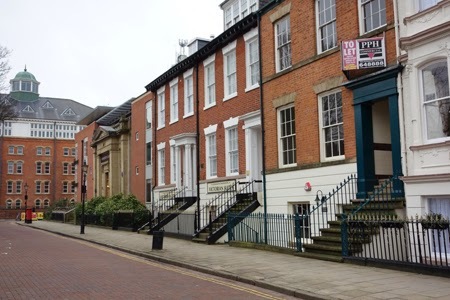 The parallel Paragon Street and King Edward Street which bisect the area are dominated by neo Georgian commercial blocks which would be at home in Welwyn Garden City but are too prim for Hull. At the junction of Jameson Street and King Edward Street is the extraordinary curved façade of BHS with a vast mosaic mural on nautical themes (1963). This is confident stuff but unfortunately much of the massive building which was the Co-op department store is now empty and semi-derelict, a sad metaphor for that institution perhaps. 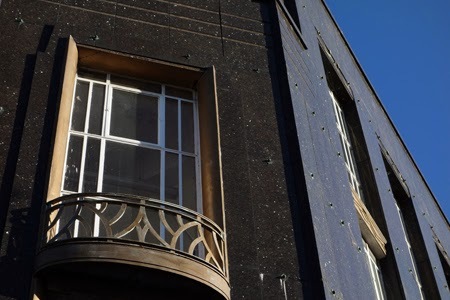 There are more derelict post war buildings on Bond Street with the slab block Kingston House (Fry, Drew & Partners 1963) waiting for the wrecker’s ball although it does have sculptural interest and I doubt that its replacement will be as worthwhile. This area, what were the Georgian suburbs, lacks cohesion. Only fragments of Georgian terraces survive, Cuthbert Broderick’s bombed Royal Institution is still an open car park and traffic is very dominant, helped by lots of very recent and unnecessary guard railing, a seriously retro move. There are interesting buildings around: the Central Library (1901) with its unusually proportioned pedimented entrance bay, the New Theatre (well new in 1830) on delightful Kingston Square, the Central Fire station (1927) opposite the super Hull History Centre by Pringle, Richards and Sharratt (2009), similar in feel to the Herbert Museum extension in Coventry. But to see the real guts of Hull you need to go to the Old Town. 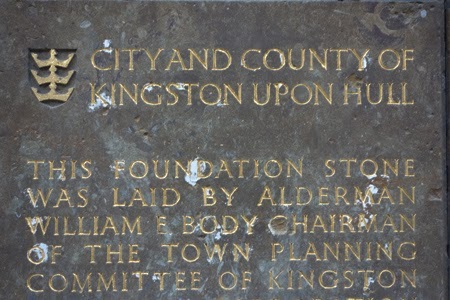 Hull’s town plan is complex. 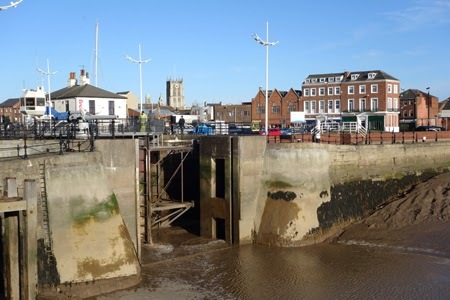 The medieval town grew up along the River Hull near its confluence with the Humber, enclosed within tight walls. 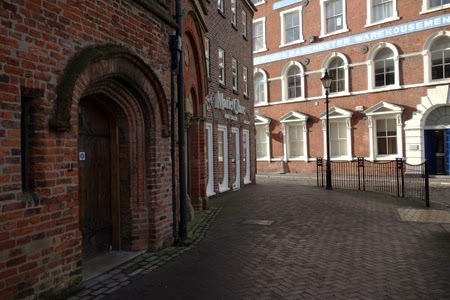 What makes Hull’s plan so exceptional is that, as the town expanded in the Georgian period, new docks were built in an arc between the River Hull and the Humber along the line of the town walls, making the Old Town almost an island surrounded by water. First was Queens Dock off the River Hull in 1778, then the Humber Dock of 1809 with the 1829 Princes Dock linking the two. So the docks and the town were all jumbled up – as Priestley said, trams mixed up with trawlers - quite unlike other ports except maybe Bristol. Queen Victoria Square, between the Queens Dock and Princes Dock, is the pivot between the Old Town and the 19th century expansion and feels like the epicentre of Hull. Here a grim statue of the monstrous empress famously commands the entrance to the gents’ toilets. The irregular square contains a fine collection of public buildings. The former Dock Office of 1871 (now the Maritime Museum) is splendidly florid and imposing with porticos and domes, all smothered with symbolic imagery. It really does the business in townscape terms on what is a difficult triangular site. 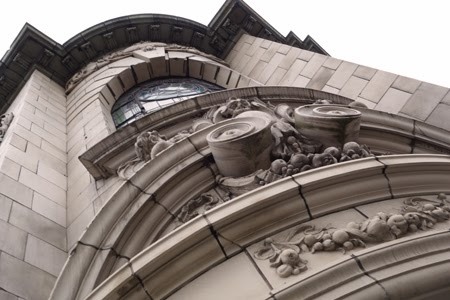 To the west is the Edwardian baroque City Hall of 1903, designed by the City architect and providing a concert hall, gallery and commercial premises - a fine statement of civic entrepreneurship. The Ferens Art Gallery is a somewhat austere classical cube of 1927, extended in 1991 and containing an excellent collection. 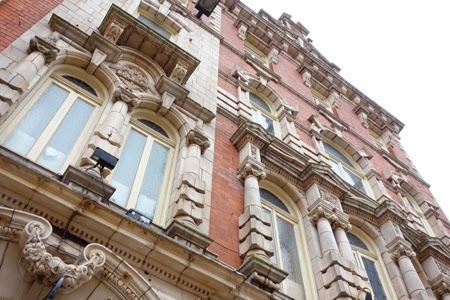 Other important buildings around the square are the 1896 Punch Hotel, a riot of Gothic and Jacobean in faience and brick. The former Yorkshire Bank, an almost miniature terracotta building, turns a tight corner with a lovely two storey cupola. It is now the most elegant Caffe Nero you are likely to find. The irregular space that is Queen Victoria Square lacks tight enclosure and is rather drearily paved in red blocks. 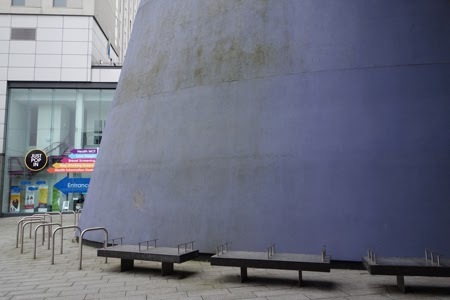 The masterplan for the city centre rightly calls for high quality hard landscaping for the square but wrong headedly proposes a new ‘landmark’ building to create more enclosure and focus. The heart sinks – think Liverpool’s new iconic joke buildings to jazz up the Three Graces. The ‘icon’ would block views of the super Burton store at the entrance to Whitefriargate, the main shopping street, all polished black marble and Deco detail (1935). Queen Victoria Square handles complex spatial and building relationships very subtly–just concentrate on sorting out the groundscape. Inevitably the Georgian docks were the first to close, Queens being filled in as early as 1935 to create Queens Gardens. This is pretty universally regarded as a huge mistake. 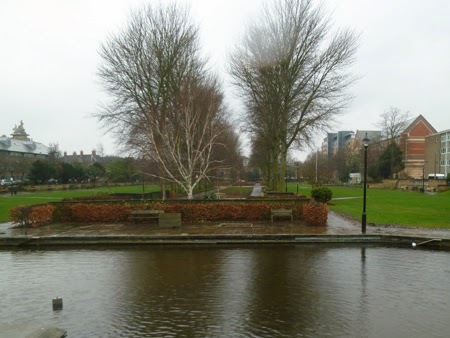 The gardens were redesigned by Frederick Gibberd in the 1950s as part of a plan for a new civic centre which did not happen, so there is little empathy between the space and the buildings around it. Princes Quay Shopping Centre - the former top dog. Princes Dock suffered a less prosaic fate - it now accommodates the Princes Quay shopping centre designed by Hugh Martin and Partners in 1988. Although internally just the usual tat, externally as shopping centres go it is imaginative and visually dramatic, with a striking glass and aluminum structure in part suspended above the water, posts and cables fancifully evoking ships’ rigging. The glazed construction looks especially good when illuminated at night. Its integration into the townscape is helped by its relationship to the water and the dockside buildings on Princes Dock Road, an elegant collection of sober late Georgian, including the well converted Sugar Mill. 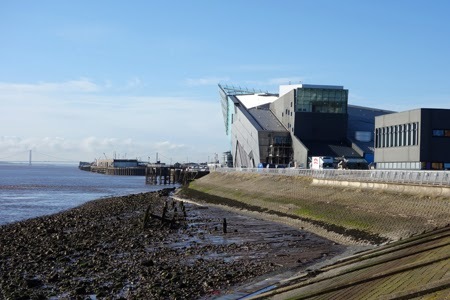 The backside of the shopping centre is however execrable especially from the E20 neo-motorway which brutally severs Princes Dock from the Humber Dock, now Hull Marina - a townscape tragedy. 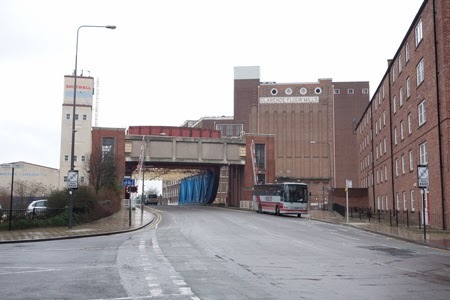 If Hull was on the other side of the North Sea the road would be in a tunnel, but this is England so the best we can hope for is the plan for sunken underpasses to speed traffic to the docks (benefits for UK plc, see). 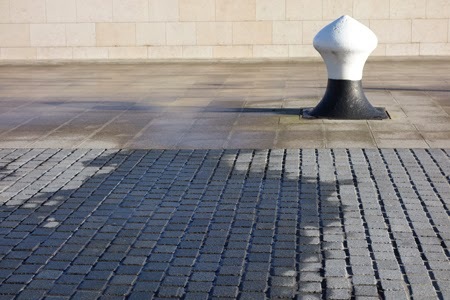 This is not about reinventing a civilised environment in the Old Town, although Hull has attempted urban repair. The boldly articulated brick houses infilling on Princes Dock Road are probably the best of a number of small scale residential schemes in the area. The marina in the old Humber Dock is a jolly sort of place with masses of yachts, rigging jangling, the Spurn Lightship (now a museum), boatyards and ships’ chandlery, gulls crying, lots of flags fluttering. 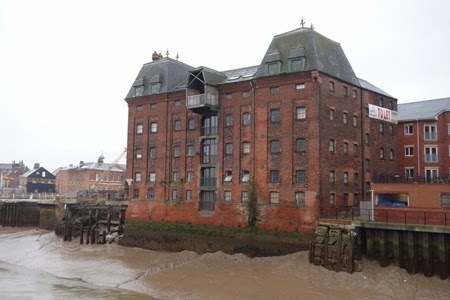 Two of the many vast dock warehouse designed by Rennie and others have survived, now converted to flats. The Holiday Inn is at least trying but its dumbed down attempted traditional brick warehouse is a poor imitation. A city with little money but plenty of brains - are you listening Leeds? 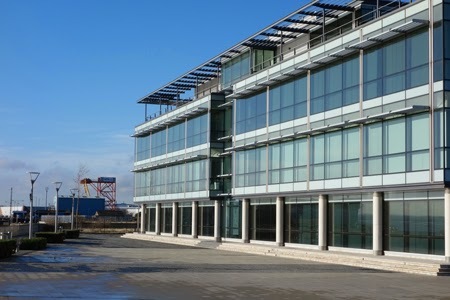 The great gates of Humber lock with their excitingly robust mechanisms lead you to Humber Quays, intended as a new office quarter. The simple and modest glass and steel office pavilion next to the Humber, by DLA Architects, looks just right for its context: no bombast or attention seeking, just good design. The parallel block by the same architects is more conventional but what is good is the space between them, simple and spare, a quiet quadrangle rather than the standard regeneration attempt at a ‘square’. 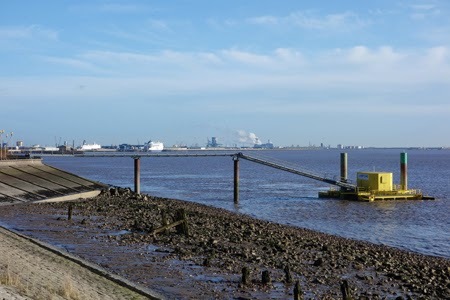 There is also a bit of an esplanade with excellent views along the estuary from which you can see the working docks in the distance and the extraordinary and very effective massing of The Deep in the foreground, at the confluence of the Humber and Hull rivers. Between the lock and The Deep is the lovely, almost forgotten, enclave of Nelson Street fronting Corporation Pier, from where you used to catch the ferry to New Holland before the bridge. This has an almost French feel about it, a couple of pubs and restaurants, amazing baroque public toilets and a few lime trees in the irregular space. Not much going on other than looking at the Humber, and sadly the pier is derelict with no public access although the thirties ticket office survives. Across the River Hull, all shimmering mud at low tide, is The Deep. From Nelson Street a super cantilevered pedestrian and cycle gangway swings you out over the mud to the Millennium lifting footbridge across the river with its really nicely detailed oval control room which looks like it should be in Copenhagen. 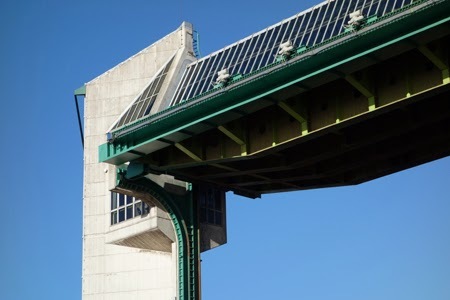 From this bridge you get a great view of the Tidal Surge Barrier designed by Shankland Cox (1980), with its two massive 37m high concrete towers framing the entrance to the river. Beyond that again is the E20 Myton swing bridge with its modernist control tower. This is a great visual sequence which somewhat makes up for the monster road buggering the Old Town. Terry Farrell once drew a really nice triangle. Well done Terry. The Deep (‘one of the most spectacular aquariums in the world’) is the signature regeneration icon of Hull. Here for once it works. It was designed by Terry Farrell, which suggests he is not all bad, despite the crassness of his comments as Tory design guru and the grossness and hypocrisy of his Convoys Wharf plan and so much of his recent architecture. The Deep is massive, rugged and angular, clad in aluminum and blue glass which catches the changing light of the rivers. It looks like a huge chunk of dock plant, possibly a wreck, an iceberg or a rock outcrop – but anyway it looks just right here, rearing up out of the flat estuarial landscape with elemental force. Apparently there are superb views from the observation platform. Predictably however The Deep has not kick-started regeneration of the riverside, as the derelict dry dock opposite sadly testifies. ARC: A sustainable technological future - abandoned by a coalition of bankers. 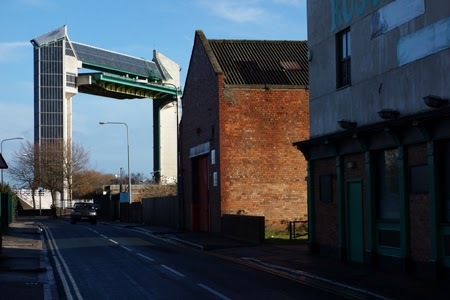 Back across the lifting footbridge is Humber Street, Hull’s old Fruit Market and potentially its creative quarter. The unassuming warehouses would certainly lend themselves to conversion to galleries and studios. Interesting plans were drawn up by Sarah Wigglesworth for Igloo, but stymied by the recession. There are however a few galleries in the area and perhaps the impetus of the ‘city of culture’ will finally launch this project. Nearby is the stunning building that was the regional Architecture and Built Environment Centre. 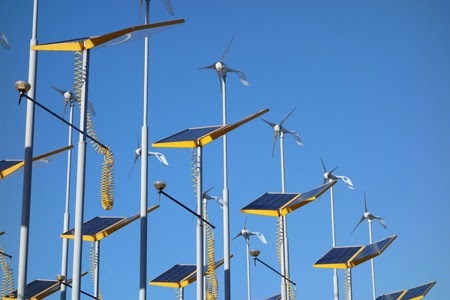 Designed by Niall McLaughlin (2007) it is triangular, with a sloping roof of curved aluminum panels and the forest of poles in front support wind turbines and solar panels – quite a sight. But ARC is closed due to funding cuts, how utterly depressing. The need for it is all too evident by its location in a wasteland next to Castle Street, aka the A63/E20. Crossing this writhing serpent of traffic is not easy but on the other side is the heart of the Old Town. At Market Place you are greeted by a gilded equestrian statue of William 111 (Scheemakers 1734), presiding over superb Edwardian public lavatories. Hull is definitely the place to go for conveniences. Here are Magistrates Courts by Austin Smith Lord (2000), quite a good composition at least compared with the norm for this dismal genre. Adjoining is a multi-storey car park for concrete fetishists with long mirror glass offices which can’t be excused by the reflection of Holy Trinity opposite. Holy Trinity dominates the Old Town, reputedly the largest parish church in England and Hull’s de facto cathedral. It is an excellent example of Perpendicular and unusual in its early use of brick. The lofty nave is outstanding but the ambience of the church is rather spoilt by clutter and soppy piped music. Around the churchyard a fine collection of buildings including the sixteenth century Old Grammar School (now a museum), with very evocative brick. Here you could be in Boston or King’s Lynn. The focus is King Street which has been nicely paved with good street furniture and characteristically ‘regeneration’ street art, but it is all very quiet. 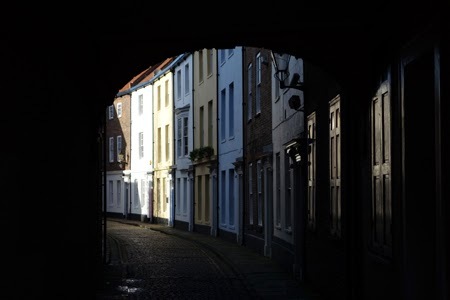 Through an arch is Prince Street, a delightful hidden curving terrace of houses from the 1770s, some in stucco. The Trinity House complex north of Holy Trinity is of outstanding interest but unfortunately there is no general public access. 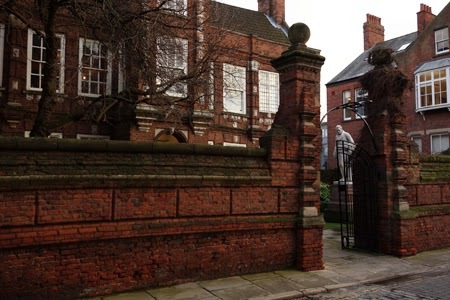 Beginning as a medieval guild of mariners, Trinity House controlled shipping and navigation in the Humber and on the East Coast and was also an important charity. 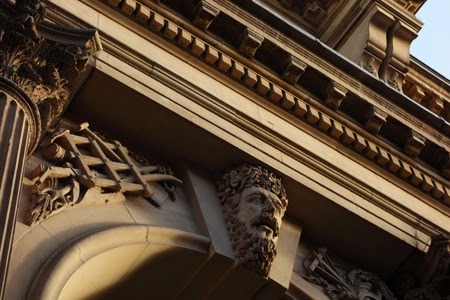 The main building, fronting Trinity House Lane and built in 1758, has a very showy central pediment with coat of arms and reclining Neptune and Britannia. The oldest buildings are around a rear courtyard and there is a fine severely classical chapel. 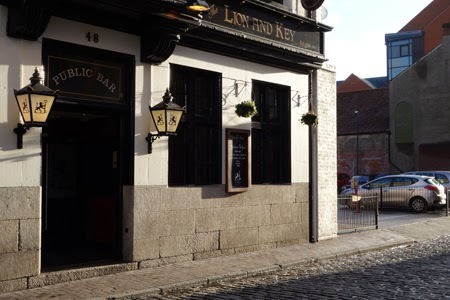 The complex extends to the Neptune Inn of 1795 on Whitefriargate, which has what Pevsner describes as a ‘swagger façade’. On the parapet a panel of vine leaves surrounds the arms of Trinity House. On North Church Side is a showy Edwardian building with grand arcading and a fine campanile which looks as if it might be a Methodist central hall. It was in fact the indoor market but is now largely given over to a vast drinking emporium. The remains of the indoor market are tucked away behind with curiously inconspicuous entrances, one from the absolutely delightful Hepworth’s Arcade off Silver Street. 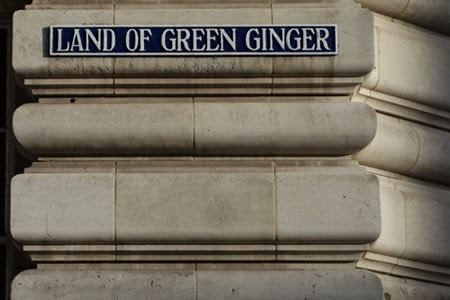 Here you find a collection of grand bank palazzi, the most striking being the extraordinarily heavily modeled Portland stone façade on the corner of the improbably named street Land of Green Ginger. Most of the banks are now bars, or empty. 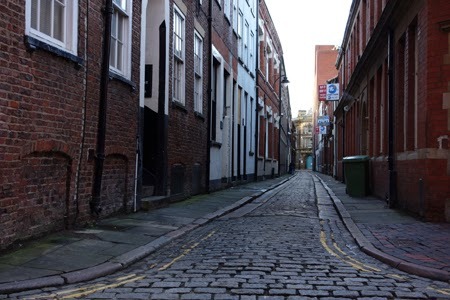 Across Lowgate is Scale Lane, a characterful alley with Hull’s only surviving timber framed house. Beyond High Street a demolition site has been reimagined as a small public space which leads to the latest in Hull’s collection of distinctive bridges across the River Hull. Designed by McDowell and Benedetti, this is a cool, black curl of a pedestrian swing bridge that you can actually ride on as it opens. It has a ‘sonic landscape’ to tell you when this is going to happen which would be a lot of fun but unfortunately it didn’t happen for us. Currently the new bridge only leads to a raucous Premier Inn above a multi storey car park and a hinterland of car parks and sheds. 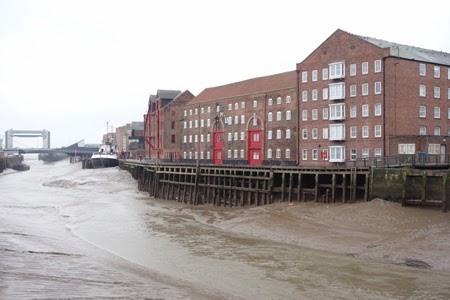 This is a pity, a prime example of Hull’s assets being wasted by brain dead neo-liberal economic orthodoxies, for the River Hull here is quite something – great views towards The Deep and the west bank lined with warehouses up to the staithes, like some Hanseatic town. High Street runs parallel to the river. North of Scale Lane it has a quite remarkable urban intensity with tall warehouses and commercial buildings crowding in on the narrow street – great townscape. Bishop Lane is even narrower and even more concentrated, like a street out of Spitalfields. Narrow staithes between the warehouses lead from High Street to the river. High Street also contains exceptionally fine town houses, like the externally severe Maister House of 1745 for which Lord Burlington advised on design. The stupendous staircase is attributed to William Kent; it is now owned by the National Trust. 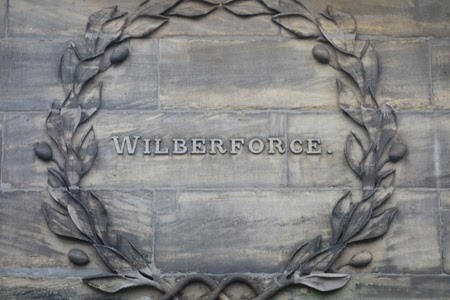 Further up the street is the brick built Artisan Mannerist Wilberforce House of 1660, home to Hull’s most famous son. It is now a museum, part of the extensive Museums Quarter which also includes an archaeology museum and a transport museum designed by the City Architect in 1989 with a very distinctive series of hipped mini-roofs. Moored on the Hull is the trawler Arctic Corsair. 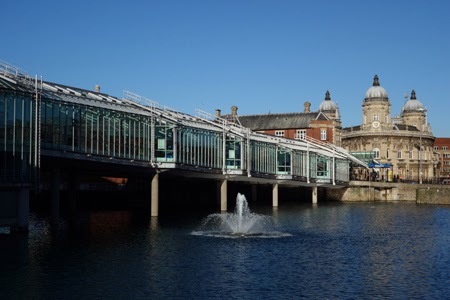 Hull’s museums and galleries are exceptionally good for a city of this size and are all locally funded by a poor city stuffed by government cuts. Meanwhile London’s cultural institutions gorge on obscene levels of national funding (a scandalous 15 times more per head of population than the provinces) as well as global private patronage. Is it any wonder that provincial talent heads for the Smoke as the latest Cities Outlook report highlights? One of the best views of the staithes and ‘Hanseatic’ warehouses is from the Drypool Bridge, another fantastic piece of kit; this one a Scherzer rolling lift bridge of 1961. On the far bank is the superb Clarence Flour Mill, rebuilt after war damage in 1952, and a close relative of Gateshead’s Baltic – except that it is disused and planning permission has been granted for a redevelopment of stunning awfulness including what would be Hull’s tallest and tackiest tower. How infinitely depressing to lose real local distinctiveness like this and blight the city with third rate banality. High Street continues north to the handsome classical Dock Offices of 1820, close to the entrance to the old Queens Dock, with a few other survivals around. 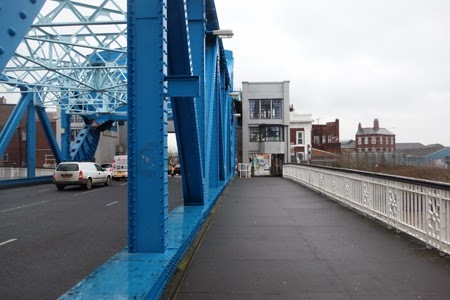 Beyond is North Bridge, similar to and as exciting as Drypool Bridge. 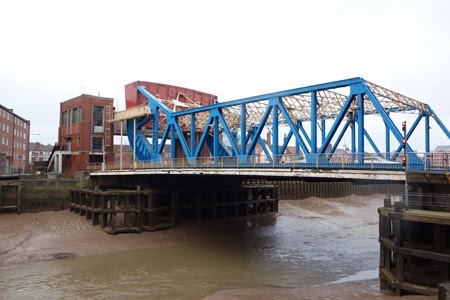 The Hull river with its sequence of opening bridges is really one of the great things about the city but the bridges rarely open now; partly the decline of industry and partly to avoid disruption to traffic. 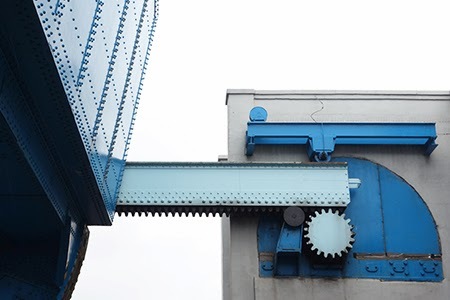 Hull should exploit the great excitement of the bridges with a programme of openings as a cultural phenomenon. 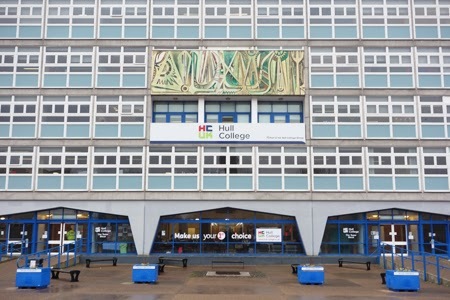 Hull College, facing the head of Queens Gardens and designed by Gibberd in 1962, is a commanding building, although dismissed by Pevsner as ‘run of the mill’. Before it stands an immensely tall Doric column with Wilberforce on top, moved here from Queen Victoria Square. The School of Art and Design (1974) is also by Gibberd. More recent buildings towards North Bridge seem random and opportunistic, without any coherent campus feel. Back down Lowgate, at the junction with Alfred Gelder Street, you find a very masculine space which doesn’t seem to have a name, but does have a statue of some worthy in the middle. Like Glasgow Cross, which it strongly resembles, it is all powerful buildings and transit, not a people place. Dominating everything is the Guildhall, a tour de force of power and imperial bluster. Pevsner said ‘it would look convincing in an Italian city where they did their stile Vittorio Emmanuele like that’. 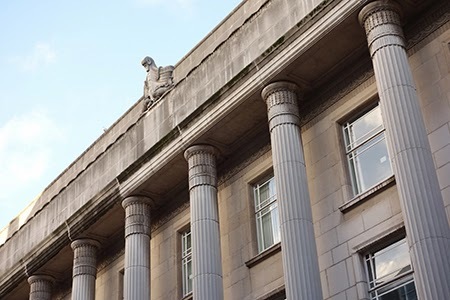 Built 1905-16 the thirty five bay façade of the law courts along Alfred Gelder Street is utterly amazing in its confidence and ambition. 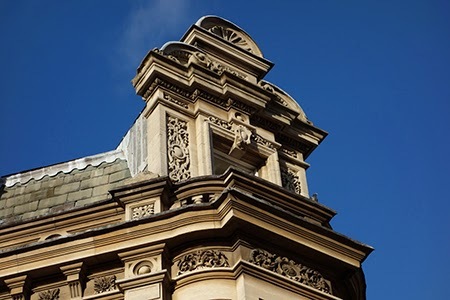 The Guildhall proper facing Lowgate is less powerful and, with its tall central clock tower, mere nine bays and central pediment, is similar to Marylebone Town Hall by the same architect, Cooper. 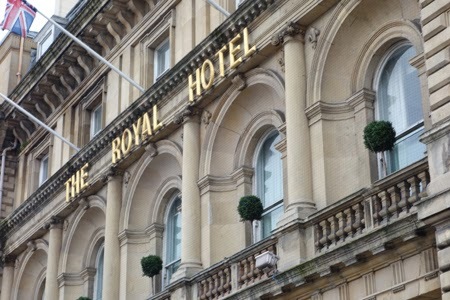 The interiors are naturally sumptuous and, if not quite St George’s Hall, are playing in the same league. Unusually for England the Guildhall is open to visitors. 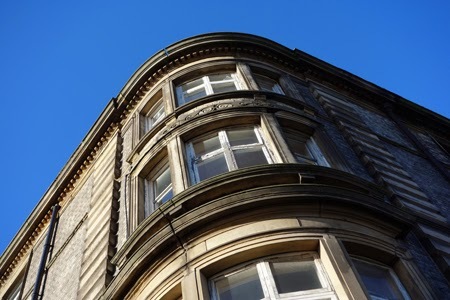 Lowgate ‘Cross’ is enclosed by the City Hotel and Maritime Buildings, both high quality and thoughtful Edwardiana by Walker, a Hull architect. Less thoughtful is the monumental Edwardian GPO opposite by the Office of Works although reflecting not just the local but the national view of Hull’s importance at that time. The ensemble is completed by BDP’s Crown Courts, post modern which sort of works, full of justifying references like the domes and neo classical bits. Down Lowgate is St Mary’s church, fourteenth century but extensively done over by George Gilbert Scott in 1863. He introduced the very effective stone vaulted walkway under the tower which allowed it to be retained rather than demolished for street widening. 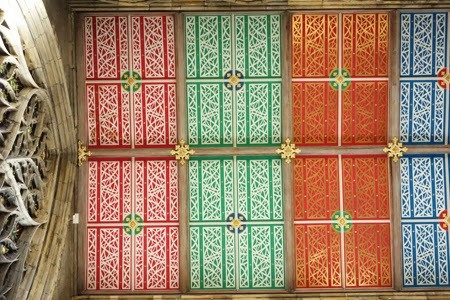 The mostly fourteenth century interior is surprisingly large and includes a rood screen by Temple Moore (1912). Lowgate is a mix of superb buildings like Ocean Chambers (Walker 1901) and very mediocre post war stuff. 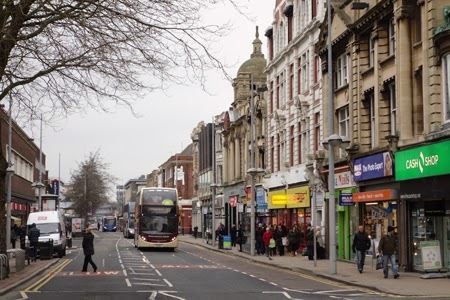 Parliament Street, the best Georgian street in Hull, leads to Whitefriargate, its best shopping street. This has everything the dreary indoor shopping centres lack: well architecture for a start, a diverse array of commercial buildings from the eighteenth century onwards including the ‘Moderne’ former BHS, a Greek Revival M&S with giant fluted columns and a ship on the cornice, and the Deco Burtons. Which brings us back to Queen Victoria Square. 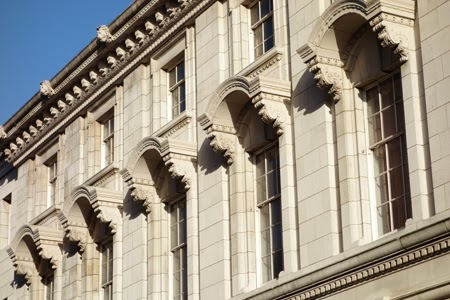 In returning to Paragon Station it is worth exploring Carr Lane with the long erudite elevation of the City Hall, the rather splendidly uncompromising Primark and the delightful Venetian Gothic Paragon Arcade (1892). 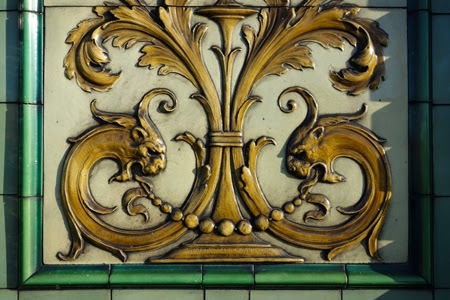 The former College of Art on Anlaby Road is extraordinarily flamboyant, or overwrought. Next to it the Tower Cinema (1914) is ornamental classicism in faience and opposite is the tremendous pre-Deco former Regent Cinema (1910). Hull was a great city in this period, the third port of Britain, and it really shows. In the post war period Hull faced immense problems, not just rebuilding the devastated city but catering for the increasing aspirations of its now more affluent citizens, nicely caught in Larkin’s poem 'Here'. Certainly the city did not get everything right. 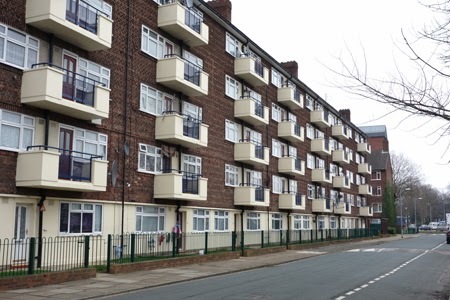 In building some 40,000 council houses in forty years, similar mistakes were made to other big cities, most particularly the infamous system-built deck access flats of the Yorkshire Design Group (along with Leeds, Sheffield and Nottingham). The vast Bransholme estate, effectively a new town, also proved very problematical. The impact of the move here from inner Hull is featured in Alan Plater’s 1973 Land of Green Ginger. What today looks like carelessness in the redevelopment of the city centre is much to be regretted, especially cutting the A63/E20 through the Old Town as late as 1981. 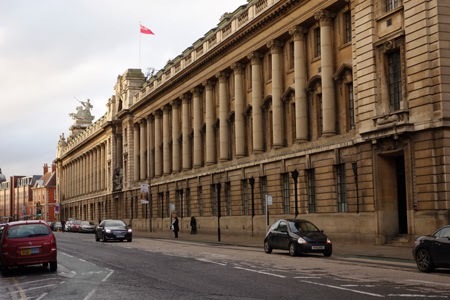 Hull is of course one of Gavin Stamp’s ‘Britain’s Lost Cities’ and certainly the loss by bombing or later indifference of so many fine buildings is a tragedy. 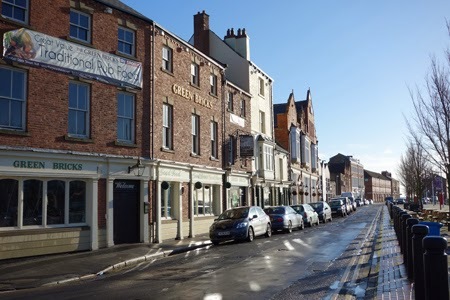 However, in more recent decades Hull has done a lot to respond to the economic disasters inflicted on the city and from this very difficult market base the renovation of the Old Town and the Waterfront must be seen a success. Indeed this is partly because the market would not underwrite the horror and hubris of a Cardiff Bay or Southampton’s West Quay. 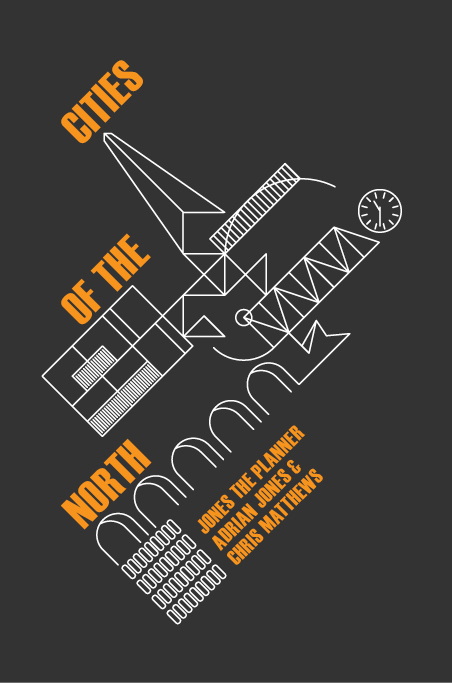 The 2003 Roger Tym masterplan for the city centre contains the usual uncritical assumptions that market led regeneration will solve economic decline and deliver townscape and buildings of quality. Although its proposals are broadly sensible as a basis for future planning, very little has actually happened except for the spectacularly wrongheaded St Steven’s development. 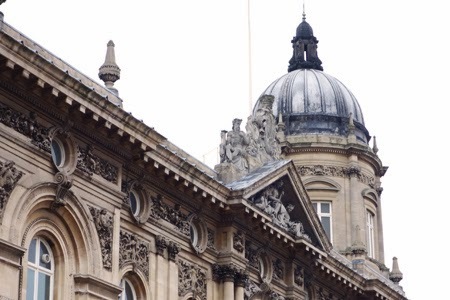 Don’t expect the market or the government to deliver what Hull really needs, which is some sort of national plan to rebalance the economy and much more autonomy for the city over finance, site assembly and project delivery. Hull currently exemplifies the problems and absurdities of the government’s Byzantine planning system. The city had developed a local plan through all its myriad stages but at the public examination in 2012 the government inspector raised problems over the ‘robustness’ of the housing numbers. Particularly he objected to Hull wanting new housing to meet at least 14 of the 20 Building for Life criteria and where Lifetime Homes standards were not met that developers should justify this. These are not government policies, said the inspector, and would affect ‘viability’. So Hull slides down the planning snake. 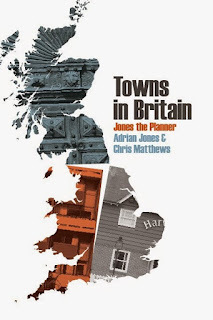 A revised local plan can’t get back to the top of the ladder until 2016 at the earliest, by which time no doubt the entire bloody planning system will have been ‘reformed’ yet again. Meanwhile the City struggles on with schemes like the refurbishment of Orchard Park, a sixties Radburn estate, doing those boring things like external insulation, improving shops, parks and playgrounds for existing residents, and inevitably the demolition of most of the flats to be replaced with fewer new houses. Nearby an Action Plan for the development of 3,400 homes at Kingswood is proceeding towards public examination. The 150 page report looks impressive with lots of nice photos of Upton as an exemplar, especially the SUDS (very important in Hull). You have to be a bit cynical however when the ‘District Centre’ turns out to be an Asda with a retail park. The successful City of Culture pitch promises much including a celebration of Hull’s architecture in 52 light, sound, film, words and theatre commissions and a new international gallery, dance centre and a new music centre. 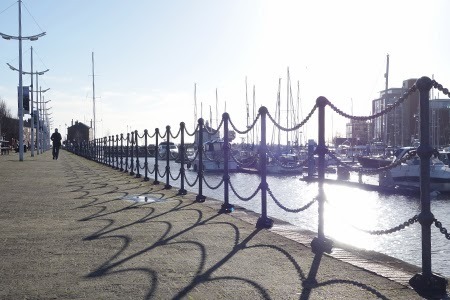 But there is already much to enjoy in Hull: its history, architecture, landscape, cultural institutions and creativity, Yorkshire’s only Premier football team and of course brilliant fish and chips. And its very special character. 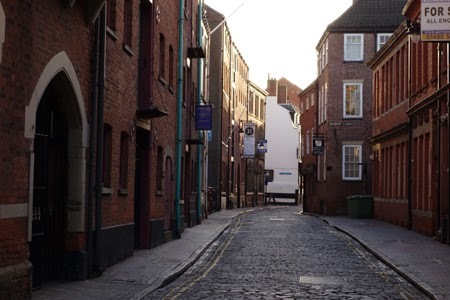 In English Journey Priestley concluded ‘(Hull) is a sound and sensible city, not at all glamorous in itself yet never far from romance with Hanseatic League towns and icebergs and the Northern Lights just around the corner’. I can’t top that. 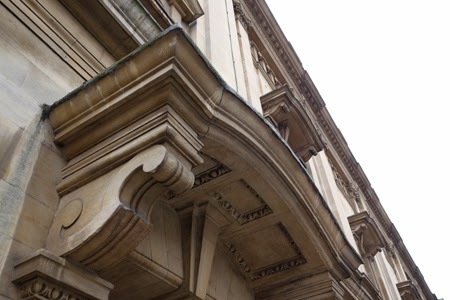 The Pevsner Architectural Guide for Hull by David and Susan Neave (2010) is indispensible and we have used and quoted from it widely. Pevsner and David Neave’s Yorkshire East Riding 2nd edition 1995 provides more background detail. J.B Priestley’s English Journey is a delightful read, Hull found strangely in the ‘To Lincoln and Norfolk’ chapter. To understand Hull it helps to read Larkin. Excellent stuff. I really enjoyed this entry and it made me want to visit Hull even more. "Even more"? Yes; despite its dismal reputation domestically, my interest had already been piqued by a Swedish friend, whose opinions I trust, raving about the place. That said, I'm surprised you weren't more scathing about the Premier Inn you tactfully described as 'raucous'. If photos are anything to go by, it's one of the worst new buildings I've seen for a long time. 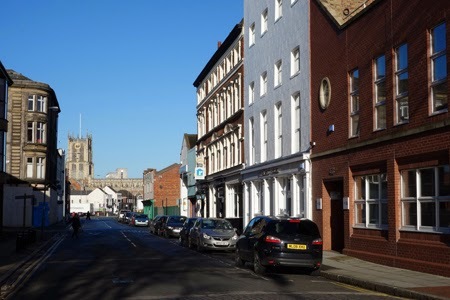 I do hope Hull's architectural and townscape legacy, as beautifully described and photographed here, are safe in the hands of Hull City Council's current crop of Planners, but I do worry when I see things like that and the St Stephen's centre. An excellent description of a much maligned city. 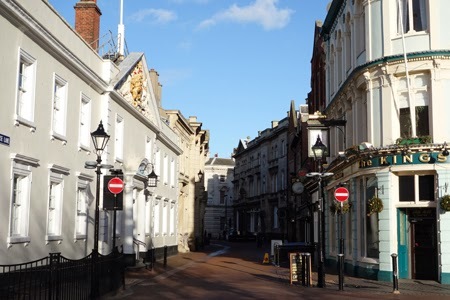 Hull has kept its character and integrity even though much of its prosperity has declined. And it never got taken over by mercantile slave owners and their dreadful spawn, as found in Clifton,Bristol. Insipid it ain't. So much to see, written and presented with panache here. End of the Line...Or the start ! Depending on your perspective ! Sadly Hull is all too often dismissed across the country on account of its undeserved reputation. Thanks for writing a great description of a very unique city. Hull's architecture really does take a lot of beating. It's totally distinct. High Georgian, distinct Edwardian and utilitarian. Great article. Can you do one on the statues and fountains next? Thank you for a really interesting and positive piece about Hull. Everyone should come here for a long weekend at least ! Love it! It's a great time to be living in Hull. There's a vibrant and creative buzz in the city these days. Thanks for the great article. Hull is a genuinely unique city like nowhere else in the UK. This alone makes it worth attention, but the City of Culture events and coverage should help to erode the longstanding ignorance and prejudice from elsewhere. As long as the city resists bland, anywhere architectural and planning developments (although they've not done so well on this score of late, as noted here), the future is looking brighter. 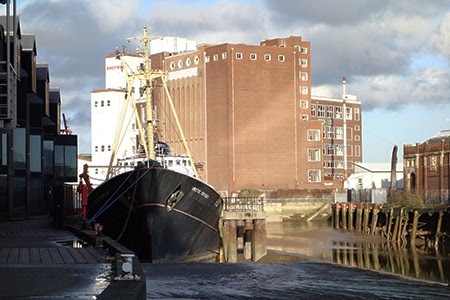 A balanced, analytical and well-informed piece which I hope will be widely circulated Especially hope someone takes note of comments re development of Clarence Flour Mills (utter madness). 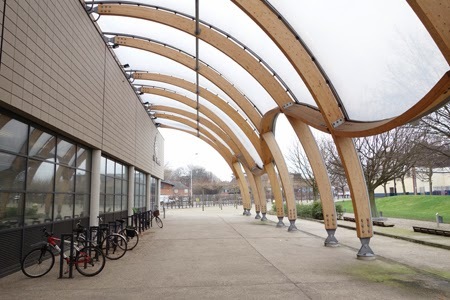 Also note that Hull Schol of Art &Design took over University of Lincoln's A&D programmes when latter debunked to Lincoln so higher ed presence in city centre is not just University of Hull. I loved this article. I don't usually finish reading them as they are usually running down Hull. I have lived here all my life and would not want to live anywhere else. Such a change for someone to see all the good things about the city. What a fascinating piece and a refreshingly positive take on a sadly maligned place. I hope it's timely appearance will spur those plannng events for the City of Culture celebrations to try to mark out its built spaces. They're certainly worthy of the attention. The "Guided Tour" is a joy to read; so evocative of times past for an ex"Hessle Road-er". 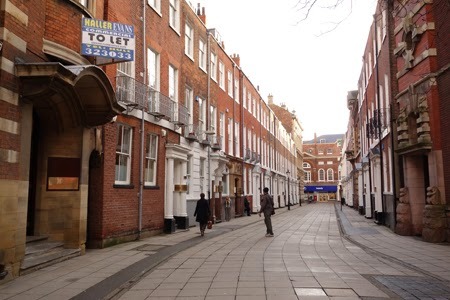 The comparisons with Bristol are particularly significant for me as I moved to Bristol over forty years ago; the Old Town could be given a new lease of life if some of the old warehouses and commercial buildings were re-developed as housing. As a young man I dreamed of owning a floor in one of these warehouses and turning it into a vast studio/living space. Such a shame that no-one has had the gump to do it! 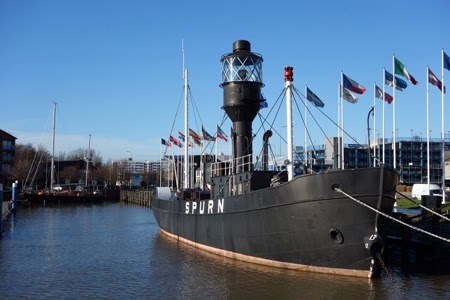 The Hull and Humber were the city's lifeblood in times past; now they are an amenity which should be used to promote the City. A really great article. My partner is a Humberside expat in Birmingham, with plenty of bad things to say about Hull. Reading extracts and showing photos of this article to him actually made him feel rather guilty about the broad brush approach he has taken to Hull. Visiting a friend there 7 years ago, I really admired the old town and never quite understood the venom it faced. We're visiting in 4 weeks time and I am excited to have a good wander around. Excellent. Please keep doing these urbanistic essays! Most enjoyable piece, thank you. As someone who moved from just outside Bristol to Hull (under protest) almost five years ago to the day, it really resonated with me. Hull us a far nicer place to live than Bristol, and I love it here. Well done for such an interesting post, both visually and historically. I particularly liked the 'smudge' of Lincolnshire being visible in the distance across The Humber. When I next visit, I'll do the tour, taking in the landmarks you've written about here. Great work! thanks for this. I'm going back to my home town in few weeks time and will take afresh look at some of the landmarks you've described and that I fondly remember from my youth. Born in Ull (well Cottingham) in 1951. But joined the RAF when I was 15 and have never lived (or moved to) Ull again. Now at 65 I fell I would to live back in my home town. Thanks a great post.. Please come back and take a look at us now. Very much enjoyed reading this informative article. I can't help being amazed at how much has changed in this short time. So much, some planned, some beyond our control and some things stay the same. City of Culture can take a lot of credit. I was in town with my husband last week, a Hull born lad whereas I'm a transplanted yank in love with the place. In typical Hull mode he summed it all up for me with "I think we're getting there".